There may be many contaminants in your surroundings, but you are geared with complex systems that all work to resist foreign organisms that can penetrate and harm your body. Then again, there are bacteria, viruses and fungi all around you that can easily penetrate your body. A fungal infection called Aspergillosis is one of the most overlooked conditions that can affect the human body. Aspergillosis is actually an umbrella term that can cover a wide variety of conditions. However, these condictions are all allergic reactions all caused by a fungus called Aspergillus. It usually thrives in dead leaves, stored grain products, compost piles and rotting foliage. More often than not, the plant marijuana is infested with it. While the sources where the fungus could be found are very common, infections that arise from being exposed to it rarely occur provided that the person in question has a healthy immune system. 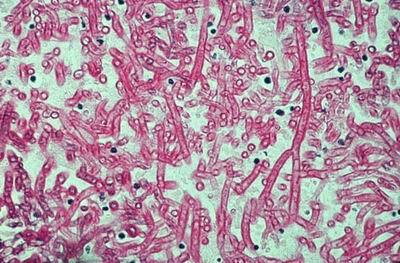 Then again, aspergillosis has different forms. Pulmonary aspergillosis or the allergic bronchopulmonary type of the condition is an allergic reaction experienced by people who have lung diseases or have complications in the lung area. The people most susceptible to this type of aspergillosis are those who are suffering from asthma or cystic fibrosis, the condition of scarring and cyst formation within the pancreas that can result to difficulty in breathing. This pulmonary condition has another form, a more invasive type. It results in far more serious infections that can cause pneumonia. This type of infection can also spread to other parts of the body. People with an already weak immune systems are vulnerable to acquiring it. Those who have illnesses or have gone through activities that can result in having lower amounts of normal white blood cells are also predisposed to acquiring it. People who suffer from cancer, AIDS or leukemia, and patients who have undergone organ transplants or chemotherapy are also in danger of acquiring Aspergillosis. Another form of aspergillosis can be brought about by by the growth of an aspergilloma or fungus ball. This can develop in people who have previously endured a lung disease such as tuberculosis or lung scarring like lung abscess. A good way of telling if you may be suffering from any of the types of aspergillosis is by watching out for these symptoms: cough or coughing up blood or brownish mucous plugs, fever, malaise, wheezing, drastic weight loss and difficulty in breathing. For invasive aspergillosis, signs occur largely on the affected area. Pains felt in the bones, chest and head, blood in urine, difficulty in or decreased urinating, endocarditis, meningitis, sinusitis, skin sores or lesions, vision problems and chills are some of the common symptoms. The typical treatment utilizes a variety of drugs. Allergic aspergillosis is typically treated with immunosuppressive drugs like prednisone through oral medication. The invasive type may be addressed by taking antifungal drugs like voriconizole for several weeks. This could be introduced into the body through intravenous (IV) therapy or oral treatment. If a patient suffering from invasive aspergillosis shows no positive response to the medication, the condition may eventually lead to death since his or her system no longer accepts the medicine. On the other hand, a fungus ball is not usually treated with regular antifungal medicines. But if it causes bleeding in the lung tissue (which can be detected through coughing), surgery may be required. Surgerycan also be necessary if endocarditis is caused by aspergillus. Surgery is performed to remove the infected heart valves. Learning about the signs and treatments of aspergillosis is not enough. It is still best to consult your doctor immediately once you feel that something is wrong with your immune system.